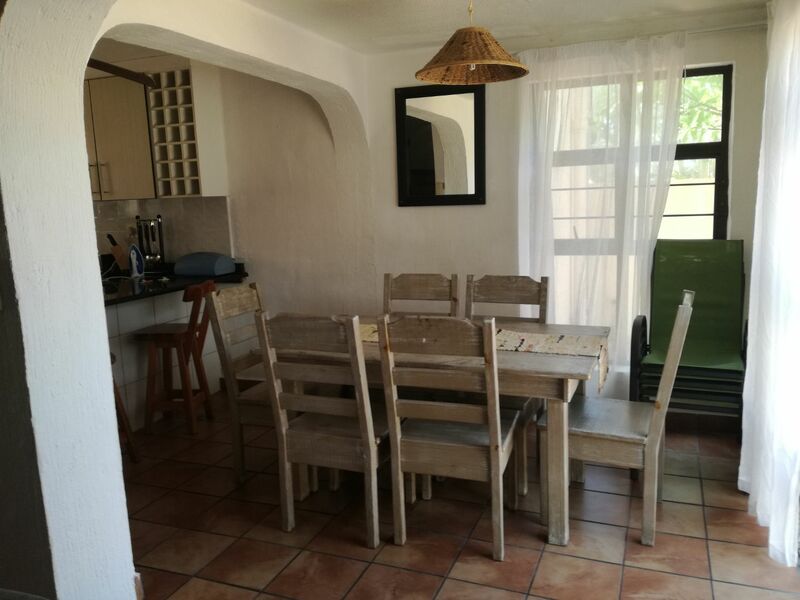 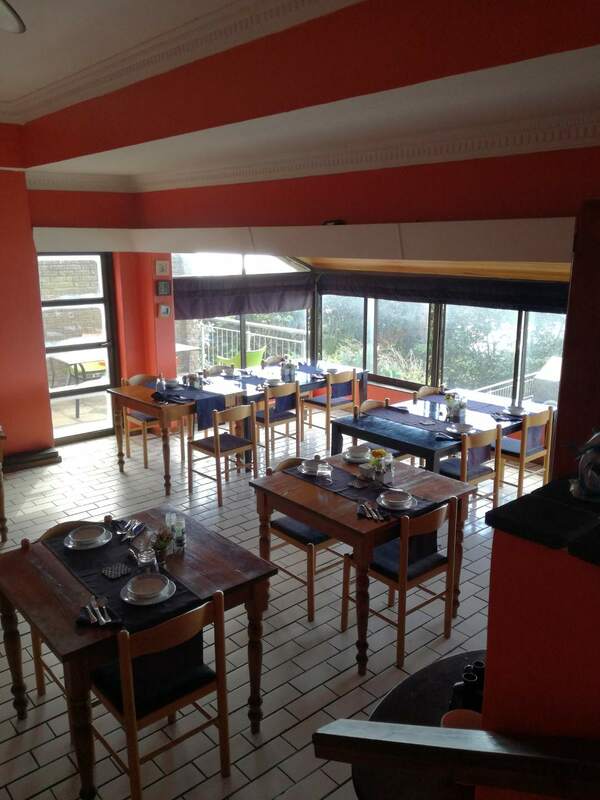 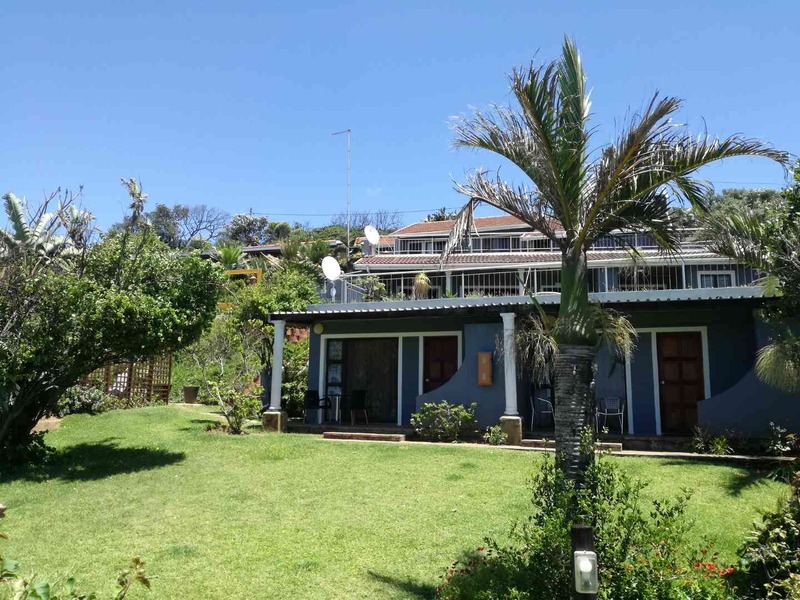 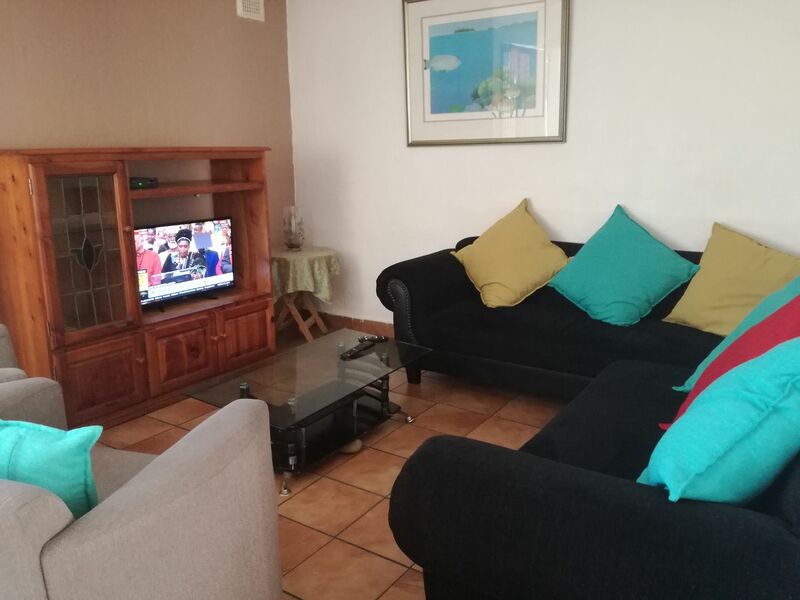 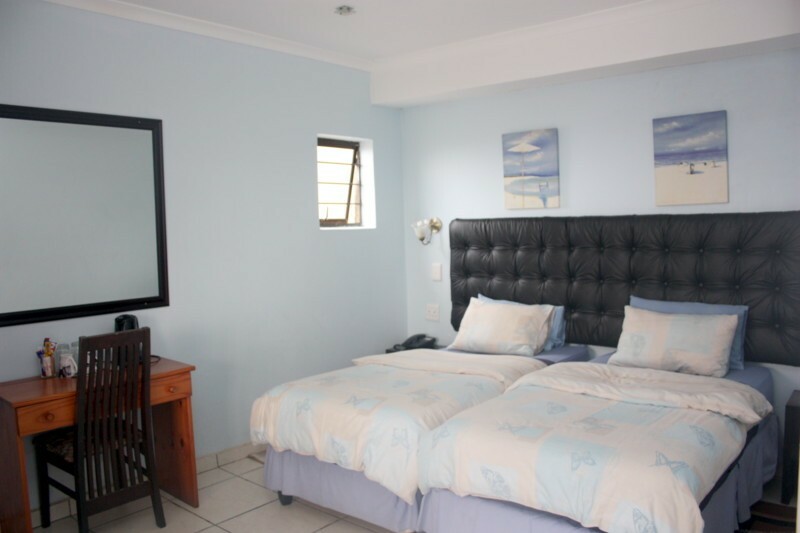 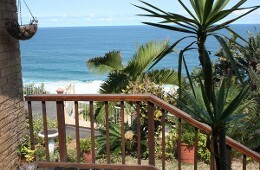 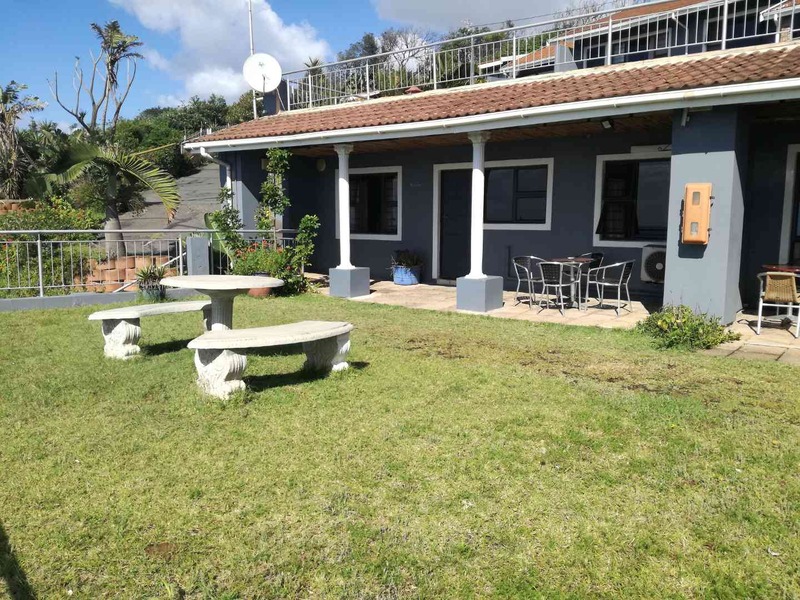 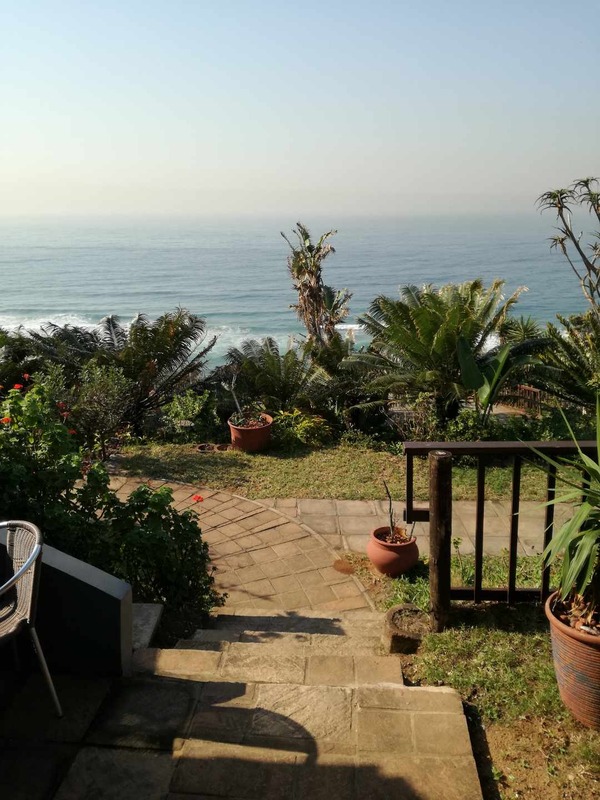 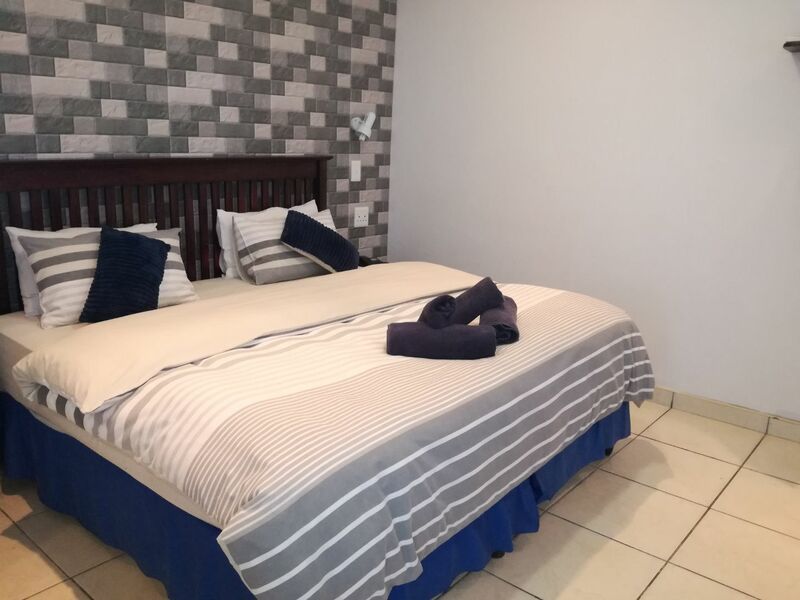 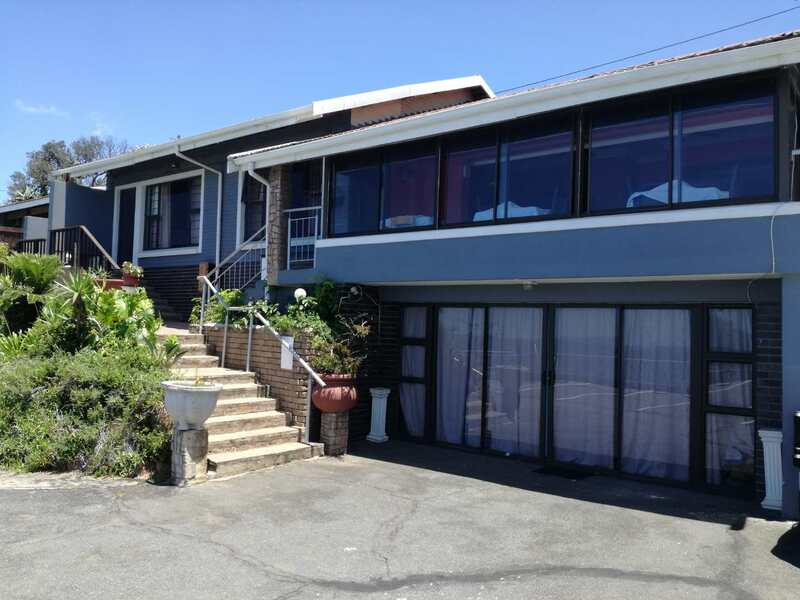 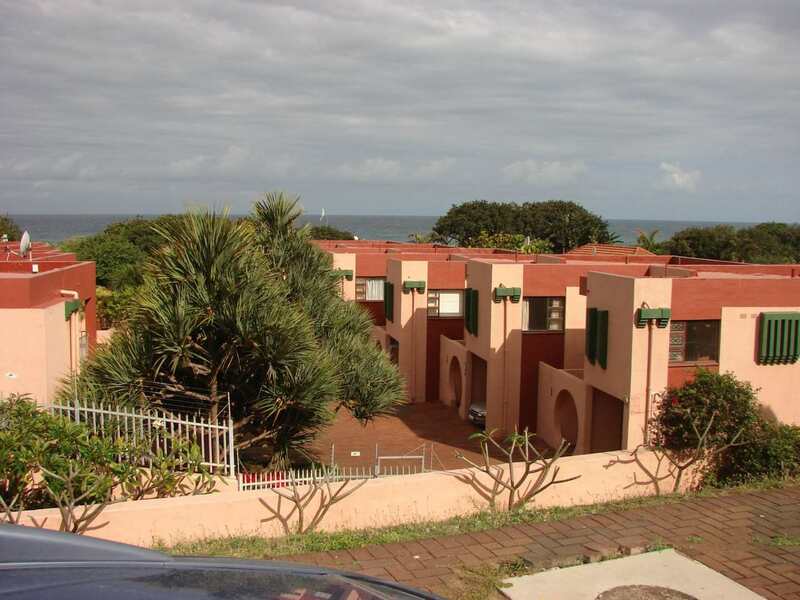 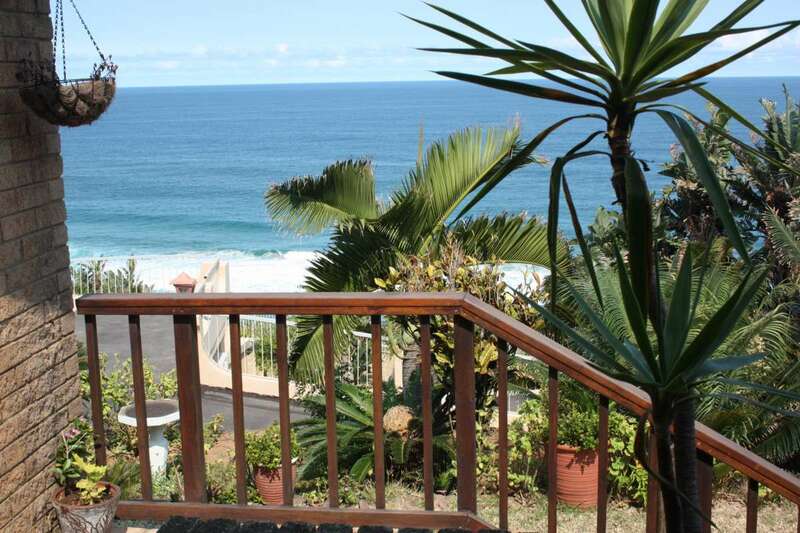 Overlooking the warm Indian Ocean, Dolphin Point B&B and its homely atmosphere await you in the popular sea-side town of Amanzimtoti. 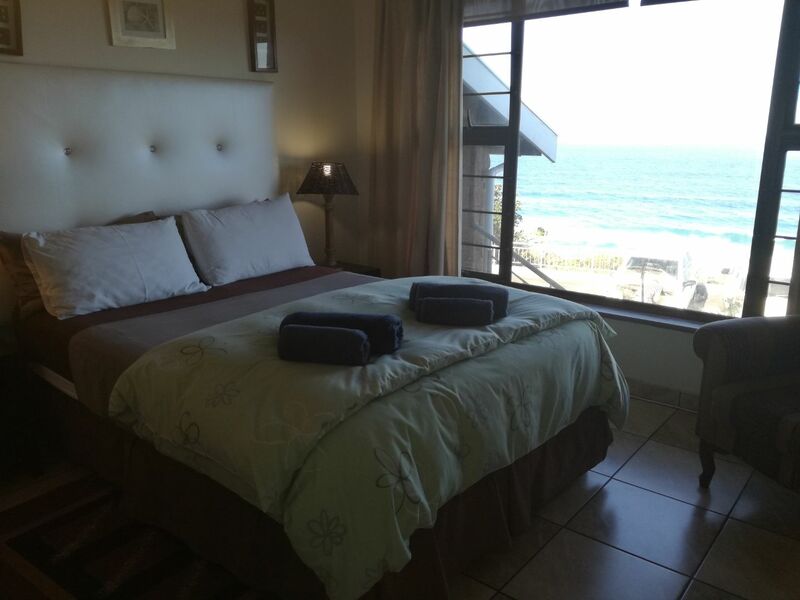 Dolphin Point is the ideal place to stay for both corporate guests and those looking for sea, sun and relaxation! 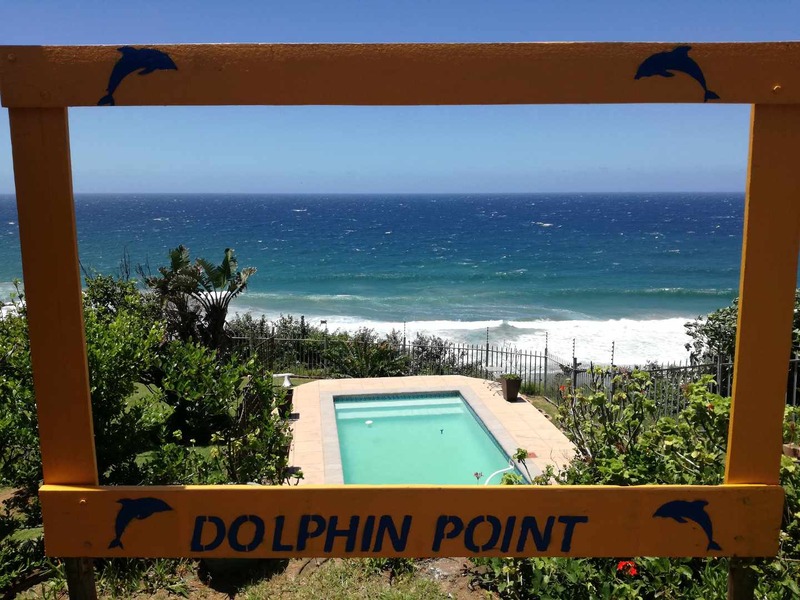 Dolphin Point is ideally situated within 5km from swimming beaches, a gym, two golf courses, shopping centres, and a bird park. 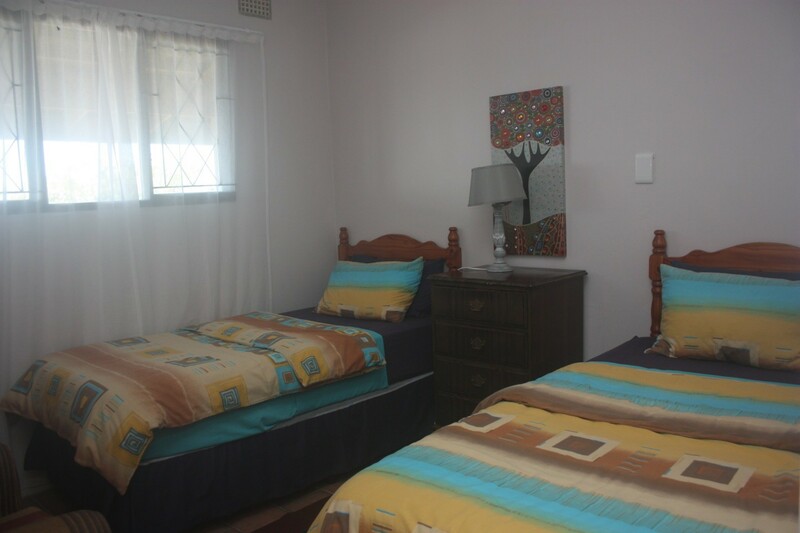 There are 8 ensuite bedrooms and two family rooms. 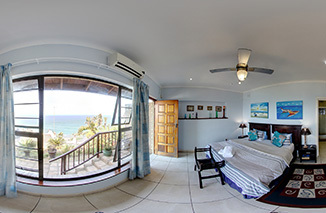 Each comfortable room is sea-facing with its own entrance. 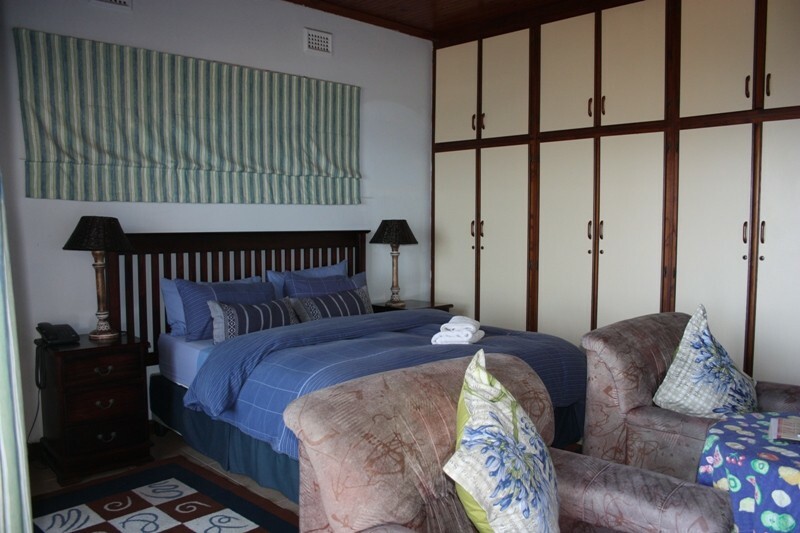 All rooms are equipped with an air-conditioner, television, hospitality fridge and tea and coffee making facilities. Description: This room of 30m2. 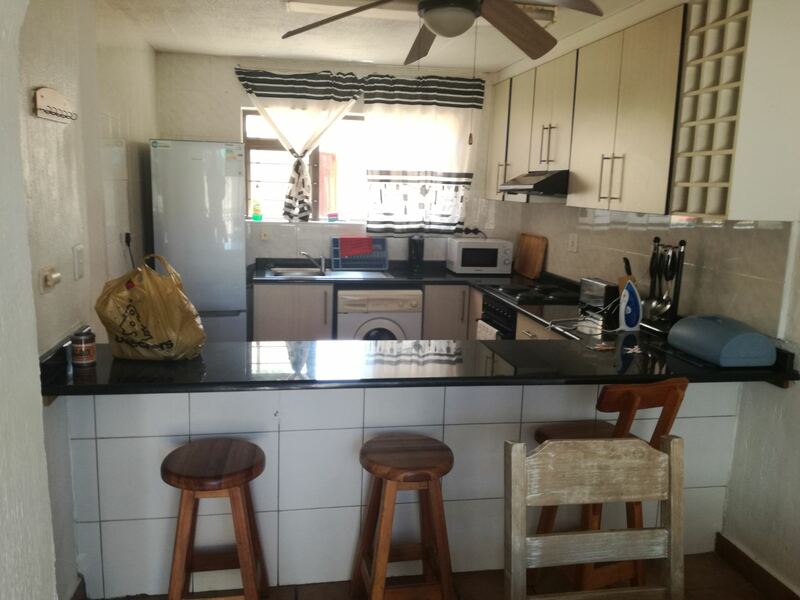 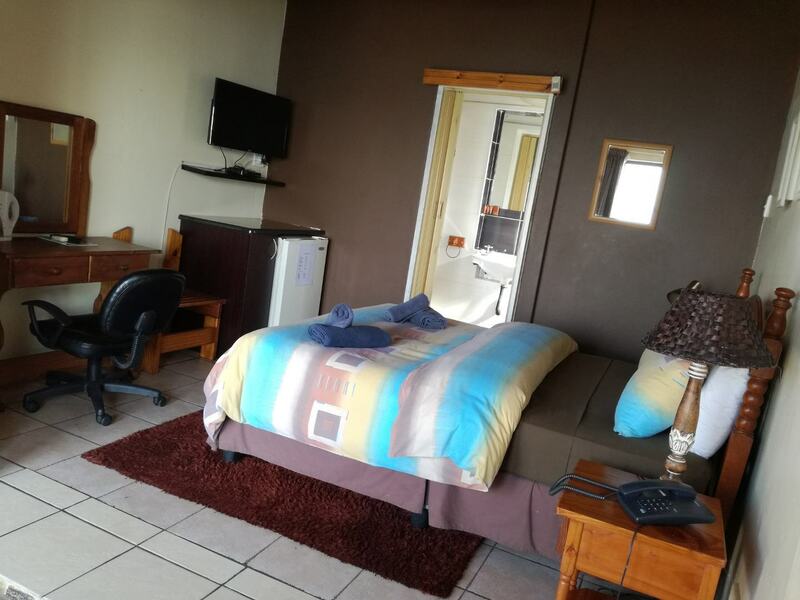 Fitted with double bed, TV with DSTV, bar-fridge, dressing table, air-conditioning and an ensuite bathroom. 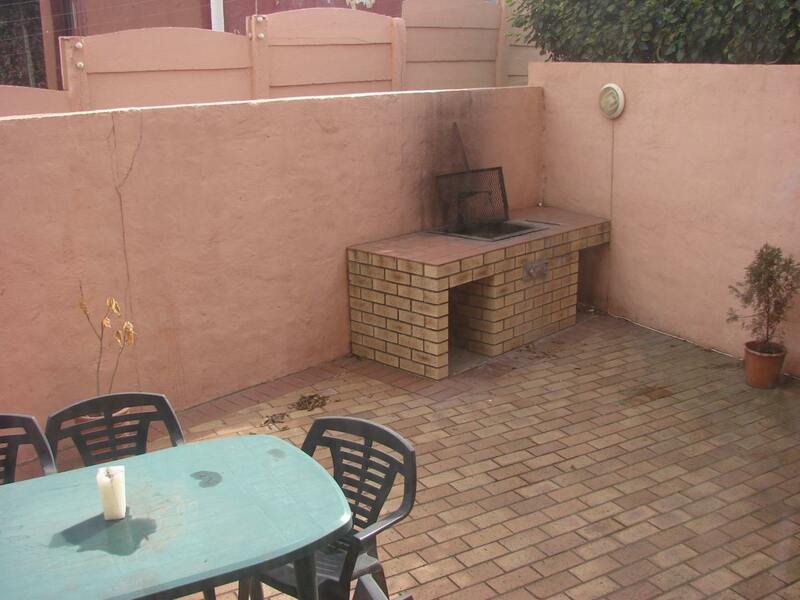 The entrance leads onto a small patio. 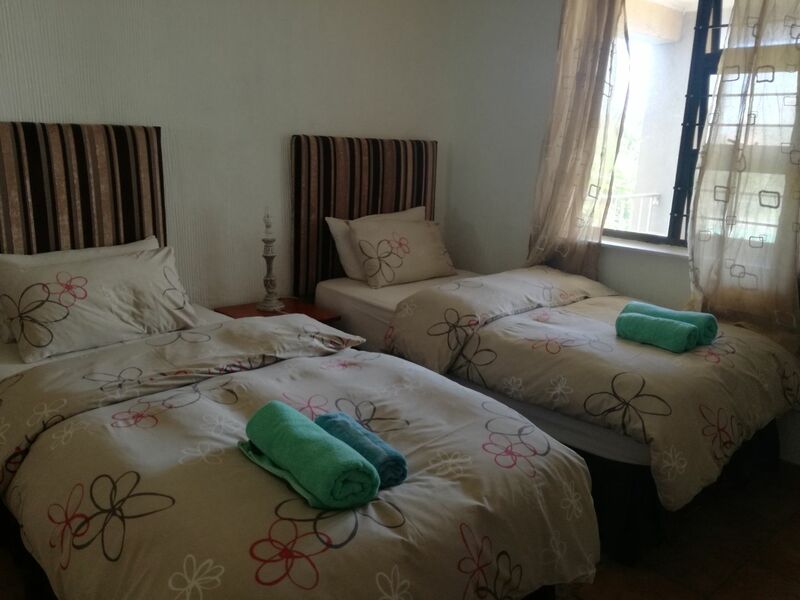 Description: This room size is more than 30m2. 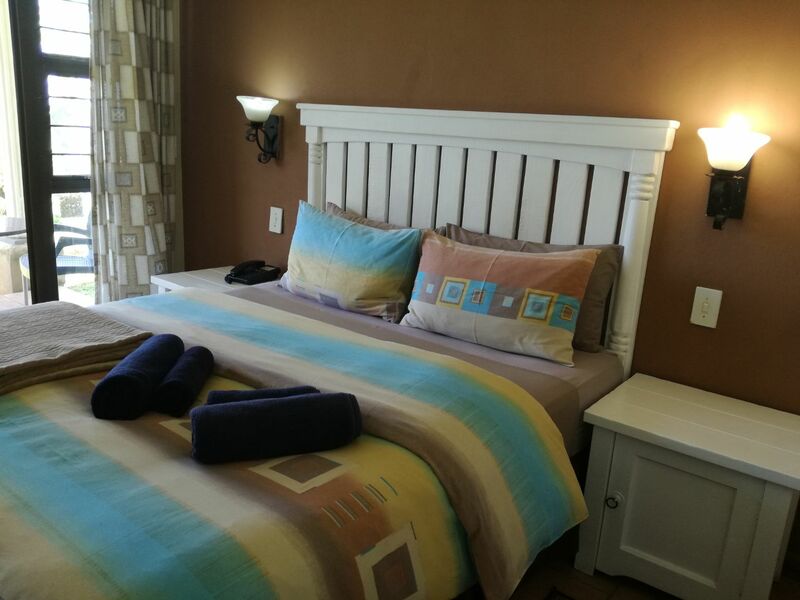 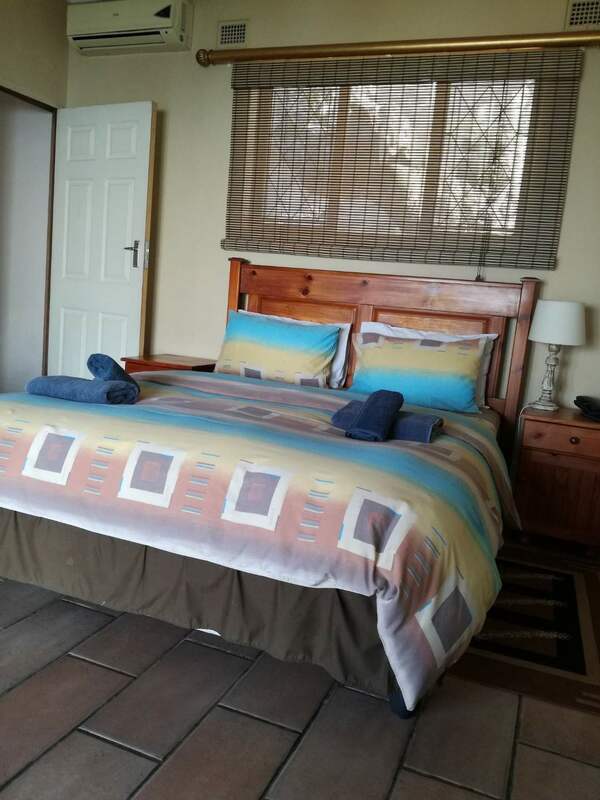 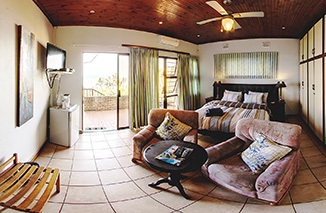 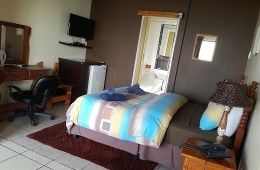 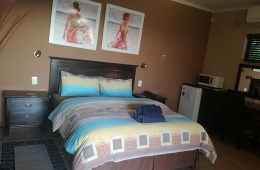 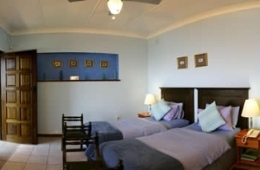 The room is fitted with a queen size bed, TV with DSTV and a telephone with internet access. 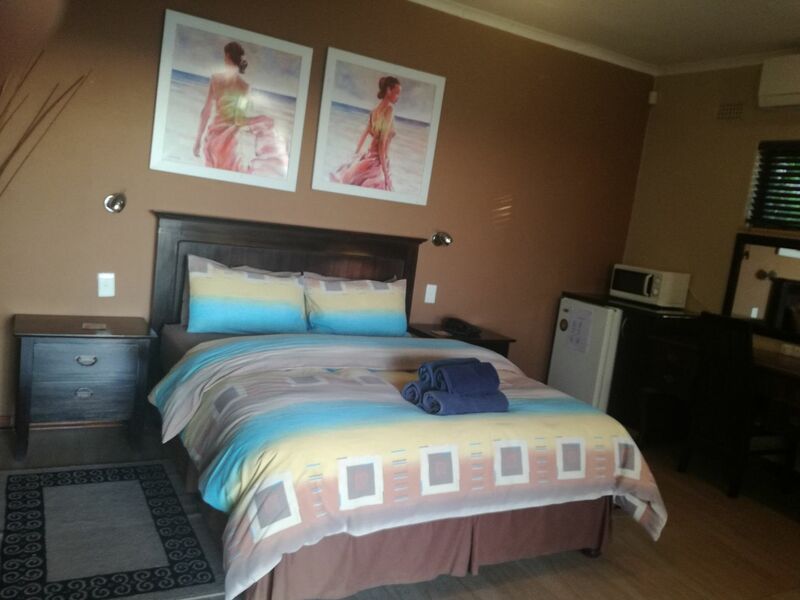 Description: This unit consists of a main bedroom (queen size bed) , inter-leading second bedroom (two single beds) and a bathroom with shower. 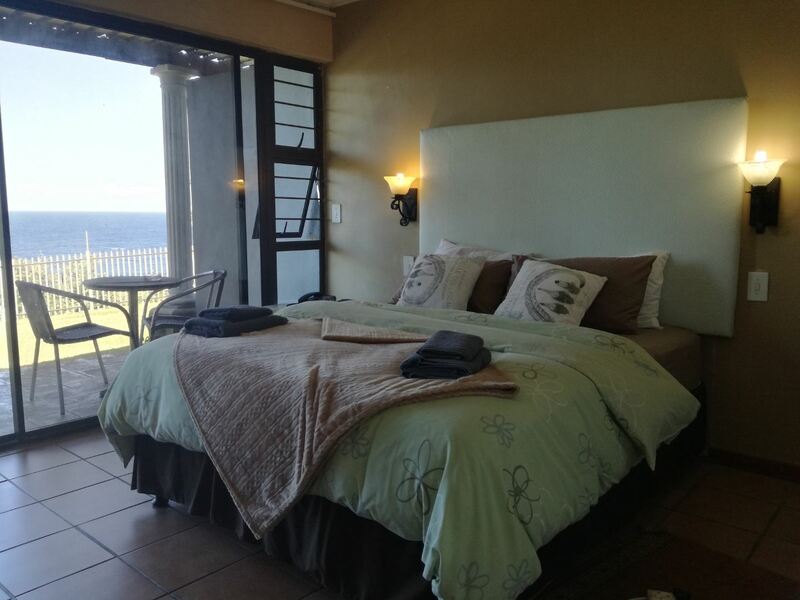 Description: This unit (with two single beds) has a private entrance, small patio and offers magical sea views. 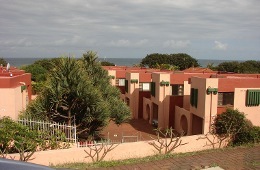 Description: These units have magnificent sea views. 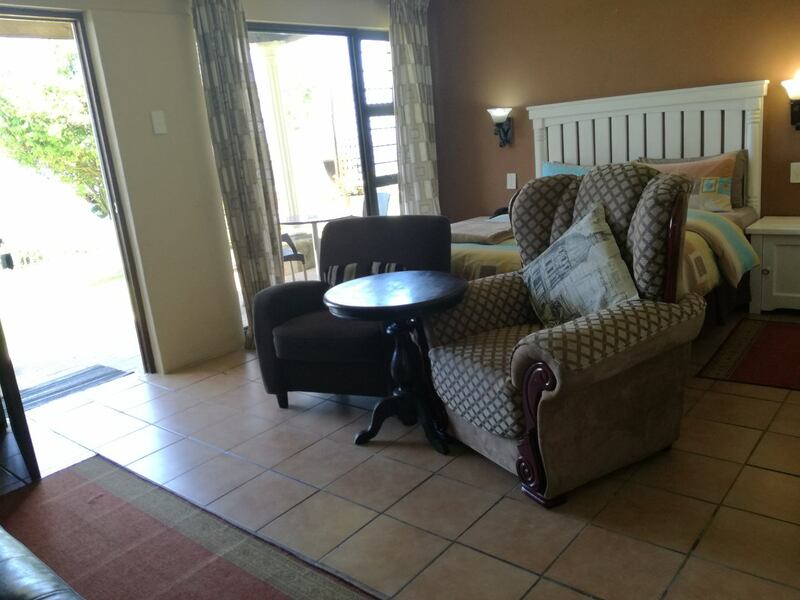 The suites offer a queen size bed and comfy-chairs. 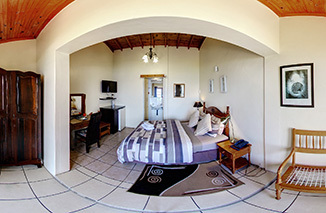 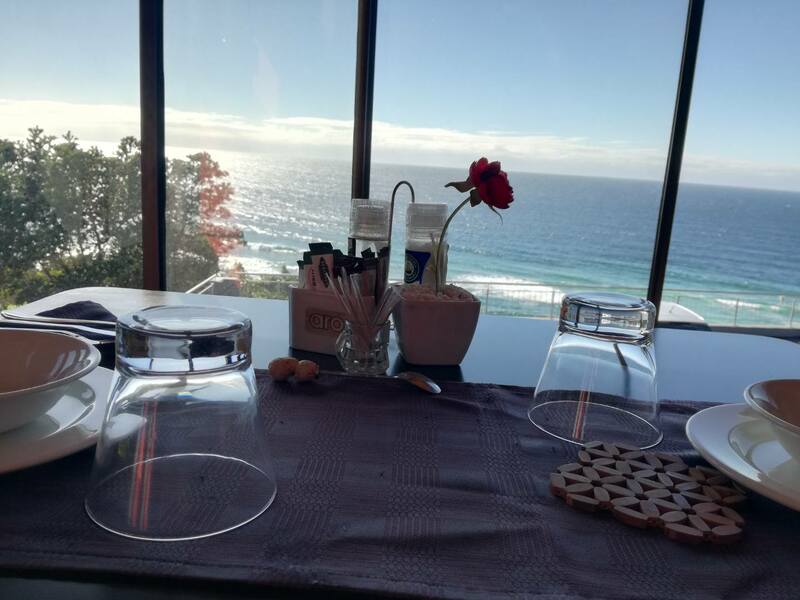 "Our stay was enjoyable with friendly staff, and amazing view and Wifi access. 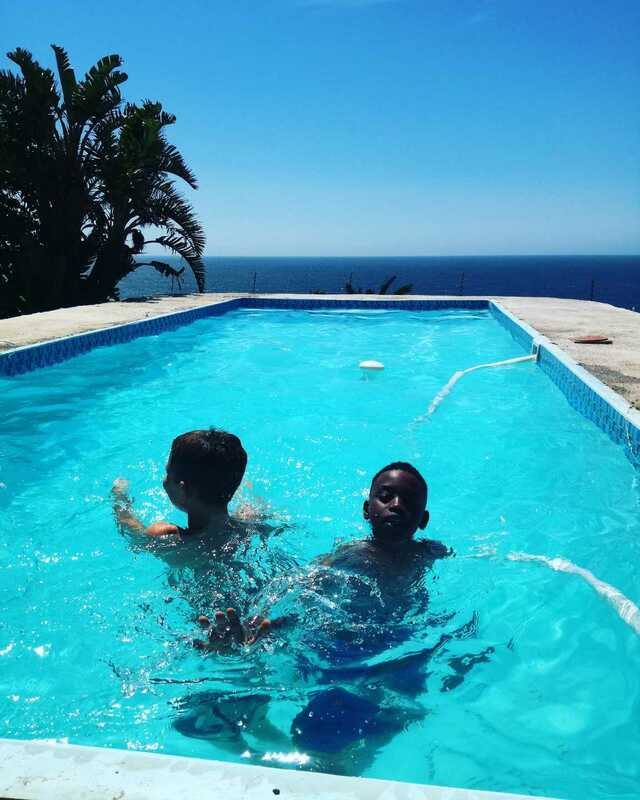 There is also a heated swimming pool which we enjoyed." 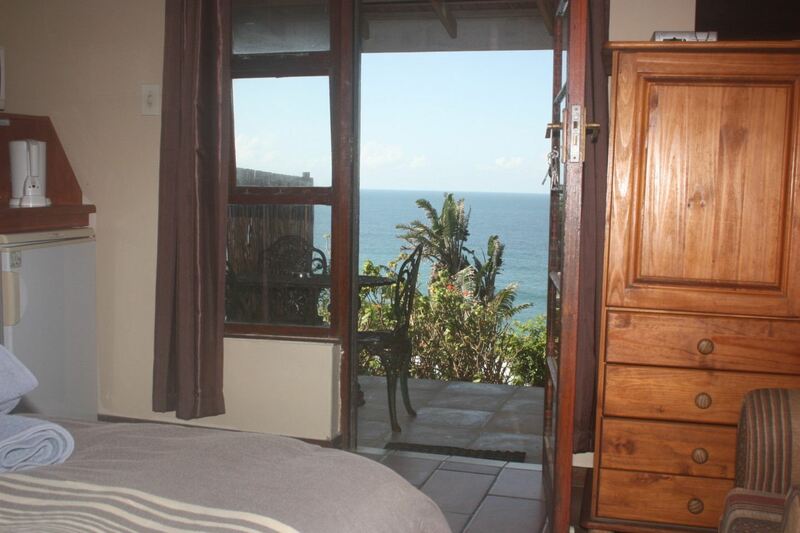 "The place is affordable and the view is beautiful. " 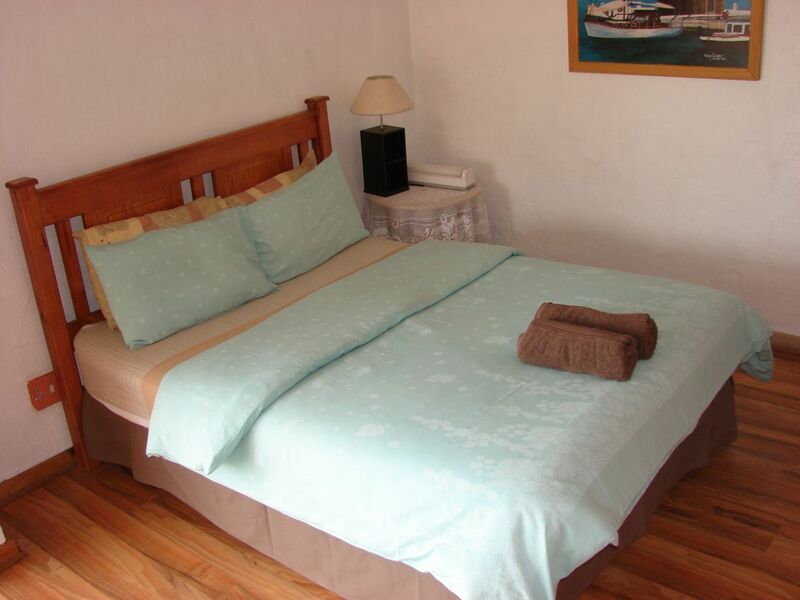 Contact Dolphin Point B&B directly. Send them an email.